Capt. Bill Hyatt was born in Stephentown, N.Y. He earned an Associate Degree in Applied Science in Civil Technology at the State University of New York at Delhi. He served in the U.S. Navy for five years as a patrol-plane commander. He flew for Seaboard and Flying Tigers for 25 years. Bill was an active member of the United Methodist Church and supervised the church's Christmas tree charity fundraiser for many years. 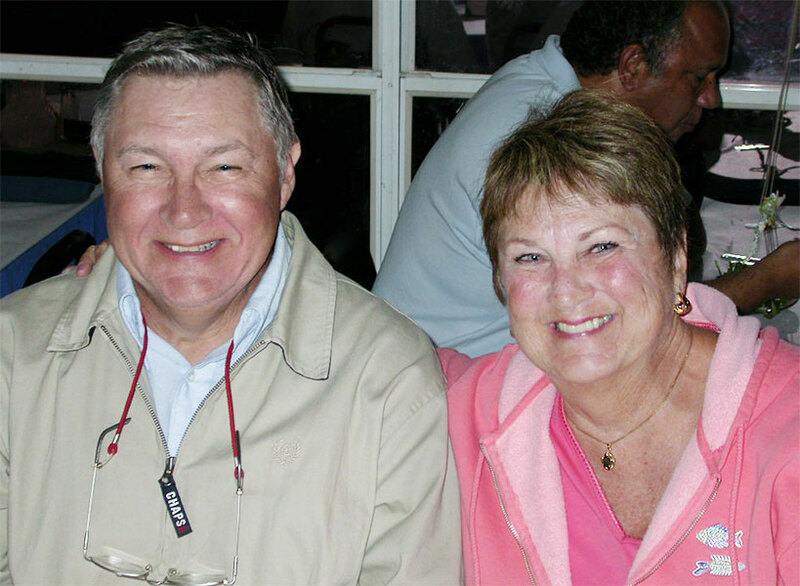 He was an avid boater, reader and member of the Emerald Pointe Yacht Club. Bill is survived by his wife of 32 years, Patricia; son, William Hyatt of Ft. Lauderdale, Fla.; daughter, Suzanne Hyatt of Punta Gorda, Fla.; brother, Caleb (Lisa) Hyatt of Westin, Fla.; sister, Melinda Hyatt of Orlando, Fla.; and many nieces, nephews, cousins, and friends. he was predeceased his by parents and sister, Sarah H. Reid. Bill is seen here with Patty at the 2005 SPAR reunion in Gulfport, Miss.